While it may seem impossible to get more than a couple of months out of a pair of socks, it can indeed be done. The trick is to choose quality over quantity and resign yourself to paying a little extra for socks that have been expertly designed. Boldfoot Socks is one of the most respected manufacturers of socks in the United States and is as dedicated to the quality of its socks as Gucci is to the quality of its suits, which is why your feet will appreciate the Boldfoot Socks Quality Pack. The Boldfoot Socks’ Quality Pack is one of the best examples of this brand’s determination to provide consumers with fun designs for their premium colorful mens dress socks. The majority of available patterns feature an array of colors designed to reflect your unique personality. However, these durable socks can also be purchased in plain black so you won’t have to worry about violating your office’s dress code. Because most of the socks included in the various incarnations of the Boldfoot Socks Quality Pack feature unique and colorful patterns, this product is arguably most suited to free spirits who don’t mind standing out from the crowd. Boldfoot Socks manufacturers its products in the United States of America and donates 5% of all profits to US vets, so if you’re an American patriot you’re definitely going to want to consider giving this brand your business. It is worth noting, however, that this pack of socks sells for close to $30, so if you don’t have a lot of room in your budget to dedicate to socks you’ll likely have to take your search for a quality pair elsewhere. When you purchase the Boldfoot Socks Quality Pack, you will receive 3 pairs of premium American-made socks. 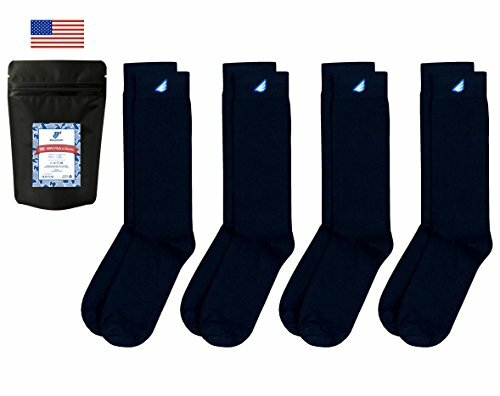 You’ll also get a heavy-duty branded Boldfoot Socks travel bag to keep them safe when you’re on the move. All socks included in the Boldfoot Socks Quality Pack come backed by the manufacturer’s 3-month guarantee policy. The socks included in the Boldfoot Socks Quality Pack all feature unique designs that you are unlikely to find anywhere else. There are 16 collections to choose from, with 3 differently designed pairs in each, making for a total of 48 options. All socks included in this pack are primarily composed of Supima cotton, which means they will breathe without letting warmth escape. As we mentioned a little earlier, those who are searching for a pair of socks they can wear to the office may want to go with one of Boldfoot Socks’ more modest color schemes as black socks sometimes work best with suits. If you are trying to put together a unique outfit for wear outside of work - one that you can be certain nobody else will be able to recreate - we suggest going with one of the more lively patterns and pairing it with a pair of skinny jeans and a short sleeve shirt. Unlike most pairs of socks, the socks included in the Quality Pack will play a significant role in your outfit, so might want to wear a pair of low profile shoes to show them off. We understand that $30 may be a little more than you’re willing to pay for a pair of socks. After all, some companies sell dress shirts for less. The good news is it is still possible to purchase premium socks without paying what the Boldfoot Socks Quality Pack goes for. You will have to pay more than you would for an average pair, but you’ll still save more than you would with the Boldfoot Socks alternative. RioRiva is quite similar to Boldfoot Socks when it comes to the design and patterns of its socks and the brand sells a gift box comprised of its most popular socks for half the price of the Boldfoot Socks Quality Pack. It should be noted, however, that the socks included in the RioRiva Gift Box all feature a polka dot pattern and differ only in color, so you may want to consider yet another alternative if polka dots aren’t your thing. A good pair of socks can be surprisingly difficult to find, but when you purchase the Boldfoot Socks Quality Pack you’ll get 3 high-quality pairs that are practically impervious to the wear and tear that destroys the average pair of socks. With a 3-month warranty to fall back on, you’ll be able to secure a replacement or refund should it be necessary, and you’ll have the added bonus of knowing that 5% of your purchase went to feeding and sheltering those who risked their lives for their country. Put a pair of Boldfoot socks on your feet and help a vet get back on theirs. 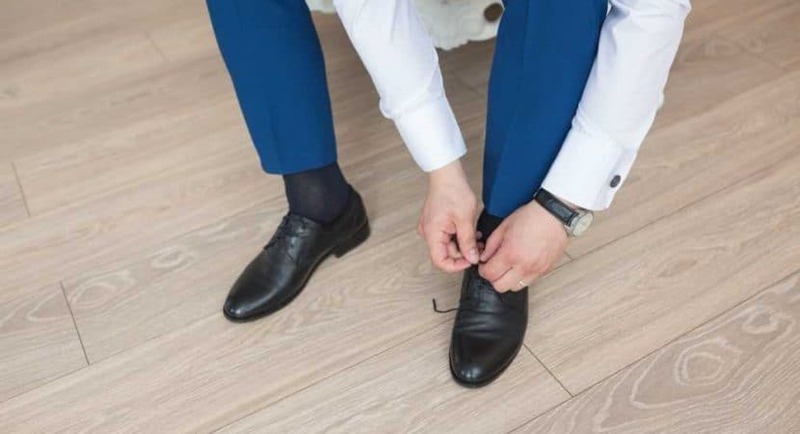 What Dress Shoes Do You Need for Certain Events?